The graveyard of failed businesses is filled with companies that were once market leaders but could not keep up with the times. Kodak, Blockbuster and Borders are just a few names that once dominated their industries yet failed to adjust to new innovations and changing customer expectations. Their numbers are growing fast, too. According to international investment banking firm Credit Suisse, the average S&P 500 company in the 1950s had a lifespan of 60 years. Today, it’s under 20. As the pace of innovation continues to accelerate, it’s quite likely that many of the software platforms and technologies lenders use to do business today won’t be around five years from now. Such a future seems even more certain considering that loan production costs continue to rise in spite of the increasing use of technology throughout the mortgage origination process. Indeed, a growing number of lenders are starting to question whether their current loan origination system (LOS) is helping or hurting their chances for future success. And no wonder, since most lenders are originating loans on technology platforms that were developed years and in some cases decades ago. Below, I’ve identified three key things every lender should expect from a mortgage platform. Be sure to evaluate them closely. You may think your LOS is built to propel you into the future, but in reality, some of the best-known LOS platforms are carefully hiding deficiencies they are struggling to overcome. A decade ago, cloud technology and software-as-as-service were still new innovations for American businesses. Today, most companies leverage some form of cloud technology, and all of the world’s biggest and most successful companies run on cloud-managed computing services. By using the cloud, companies no longer need to bear the costs of IT staff who purchase, maintain and upgrade infrastructure – this is now managed for you. For mortgage lenders in particular, the benefits of a cloud-managed LOS are enormous. Cloud computing technology also makes browser-based LOS possible. With a web-based LOS, lenders are no longer required to constantly check for software patches and other updates that they have to download and install themselves, because the software runs entirely remotely. A cloud-based platform requires a fraction of the time and expense normally spent installing and customizing most packaged LOS software. A cloud-managed platform also helps lenders better protect borrower data. For example, lenders that use Amazon Web Services are able to enjoy the same levels of security and data redundancy enjoyed by many of the world’s largest tech companies, including Netflix, Samsung, Adobe, Nokia and Comcast, just to name a few. Unfortunately, the top selling loan origination systems were not originally built in a cloud environment. That’s because they were created years ago, before lenders adopted cloud software. These providers are just now beginning to make the transition from an on-premise IT infrastructure to a cloud environment. And as they do, they must simultaneously support previous versions of their software—an additional cost of business that is ultimately borne by their customers. When a newer, cloud-managed LOS is already built in the cloud and for the cloud, its users are never burdened with these expenses. The ability to integrate products or services to your LOS is critical to effective growth. With traditional LOS products, though, lenders must “bolt on” software products and third-party services, from online loan applications to product and pricing engines and borrower verification tools. Doing so, however, typically requires considerable time and expense on the part of lenders. This is because older LOS software was not built to “talk” to other systems very well—in fact, sometimes they don’t even speak the same language. Because most traditional LOS products were built before the rise of system-to-system application programming interfaces, or APIs, most lenders have a hard time using them to create a seamless, end-to-end mortgage manufacturing process. If lenders want to integrate new software to their current platform, they usually have to do it themselves or find a certified consultant to do it for them—and then wait weeks or months for the integration to be complete. For this reason, an efficient LOS features an open API ecosystem, which enables lenders to add new software rapidly with no additional costs to lenders. Because these integrations all happen behind the scenes in a cloud-managed environment, lenders can bring all of the pieces of the mortgage process together in one platform more quickly and at a lower overall cost. Having an “open” system also means that an LOS is not just built for lenders, but for borrowers, too. For example, in recent years, many lenders have adopted new loan application software and borrower portals that enable consumers to manage their own mortgage process. Yet many of these tools only enable a one-way flow of data. In other words, consumers can enter their personal information through a borrower portal which can be fed to the lender’s LOS. However, if the borrower makes a mistake or hits the wrong key, there is usually no way for the lender or a loan officer to know. With a modern, API-enabled platform, all parties can access the same information, even simultaneously. This enables two-way communication during the loan application stage that can be fortified with online chat features and even screen sharing. This way, a loan officer can follow a borrower along in the mortgage process and provide help when needed, or instantly step in if the borrower gets stuck or makes a mistake. These features alone are practically unheard of among traditional LOS products. Survey after survey tells us that younger generations of borrowers want greater control when shopping for financial services products. Because every mortgage loan consists of many tiny steps and processes on the way to the closing table, process automation is what enables consumers to create their own personal mortgage experience while taking a lot of time-wasting tasks out of the hands of loan officers. In fact, process automation has become the most important tool a company has to lower costs, speed up transactions and give savvy consumers the immediate answers and outcomes they come to expect. Process automation basically involves triggered activities and events, such as the ordering of credit and the sending of disclosures once a borrower submits a loan application online. Process automation also involves events being automatically un-triggered when there is information that needs to be corrected or changed. Ultimately, all loan production tasks can be automatically triggered or assigned to certain staff members based on a combination of real-time factors. With an LOS that fully leverages process automation, things can happen very quickly. 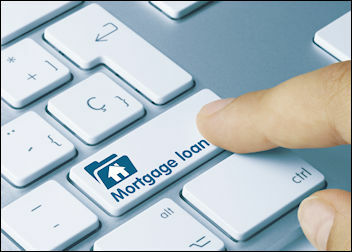 Once the borrower applies for a mortgage and begins to shop, price and apply for a loan, such a system can automatically pull the borrower’s credit, calculate fees, establish underwriting conditions, run compliance checks and deliver initial disclosures to the borrower that can be electronically signed. This entire process is capable of taking place within minutes – and it can happen without the borrower ever speaking to a loan officer. So there you have it: the three essential components you’ll need in your next LOS. As I mentioned earlier, the most popular LOS products on the market today leverage very few of these qualities, especially not together and are now struggling to catch up. On the other hand, there are loan origination systems available today that include all three of these innovations, in harmony under one platform. The new cloud-managed mortgage platforms are being built with current technology standards and software languages, not ones that were developed over 10 years ago. They are also 100 percent browser-based and are capable of offering every lender their own private cloud. They can handle the entire lending and fulfillment process, from consumer driven product pricing to underwriting to the closing and funding of the loan, regardless of origination channel. And because they enable open APIs, they provide an endless array of microservices all of which can be orchestrated through real process automation to ultimately drive down a lenders total cost of ownership while allowing them to innovate. While most popular LOS options on the market today do not – and in some cases, cannot – offer all three of these features, they are not necessarily headed for the business graveyard anytime soon. But if lenders hope to reverse rising production costs, originate loans more efficiently and create a better experience for borrowers, they are wise to leverage technology that is built to achieve that. Steve Octaviano has more than 30 years experience in mortgage and financial services technology. He joined Blue Sage Solutions as CTO in 2016 to help drive growth and technocal innovation projects. His career has been marked by the successful design, development, and delivery of complex and innovative mortgage lending and transaction management systems with a focus on product design, customer needs analysis and enterprise class IT performance.